Discussions Magazine Music Blog: SHEL: The Self-Titled full length album.... Arriving August 7th, 2012! SHEL: The Self-Titled full length album.... Arriving August 7th, 2012! 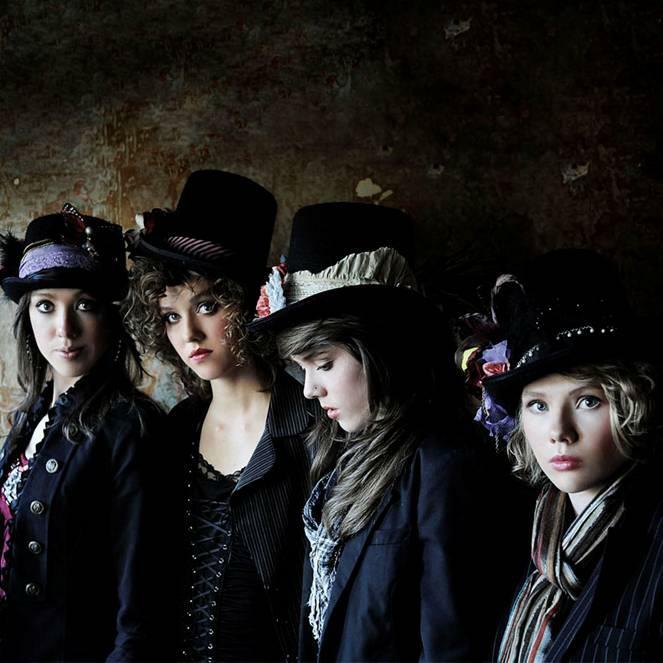 2012 debut from this Fort Collins, Colorado-based quartet of sisters. These four sisters, raised in an atmosphere of creative freedom and diligent study, have honed their musical skills surgically sharp and blended their personalities and visions into a unified whole. They are a vocal group with outstanding instrumental capabilities and an instrumental group with a thrilling vocal attack. From their fetching, unpredictable songs to their whimsical, hand-made top hats, Shel makes a profound impression, something they are doing to growing crowds and critical acclaim.